Home News First Trax We Rocked it this Season…Thanks to You! Before I dive into NUMBERS, let’s share the most important ones. We have five member ski resorts OPEN for the business of providing you guys some fun on the snow for at least today, in the case of Massanutten Resort and for Saturday & Sunday at Cataloochee, Snowshoe Mountain, Wisp Resort and Bryce Resort. You can watch the VIDEO SNOW REPORT for today (be sure to turn up the volume) or scroll below for the quick deets. Bryce Resort is open from 9am-4pm today and Sunday with 7 of 8 trails available on an average base of 20″. Cataloochee Ski Area is open until 4:30pm today and Sunday with 11 slopes on an average base of 16-56″. Massanutten Resort is open SATURDAY ONLY but with 8 of 14 slopes and trails AND 4 lanes of tubing! They mentioned that they MAY open a couple more trails once the ski patrol guys and gals have a look around! GREAT DEAL HERE!!! Show your season pass from any other ski area and receive 50% off on slope-use ticket on March 30. 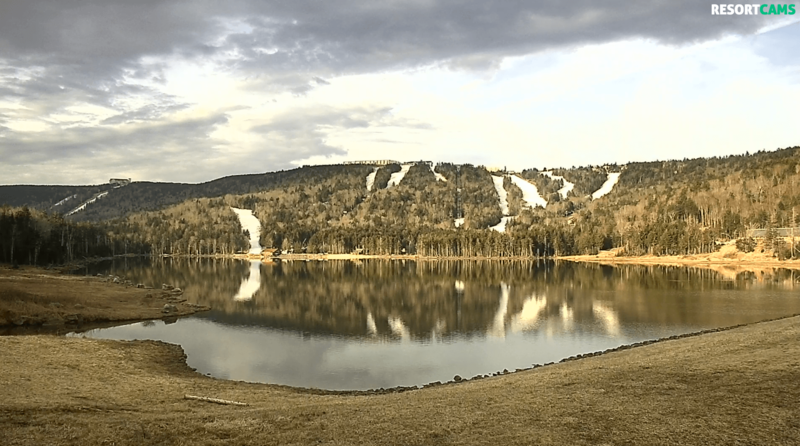 Snowshoe Mountain – these guys have had a remarkable season, made all the more remarkable for what they’ve been able to maintain open almost from start to finish. How about 42 slopes and trails open on an average base of 40″ for the last two days of the season. I mean they still have an amazing mix of terrain for all skill levels. How about 18 of 24 greens; 12 of 19 blues; 9 of 15 black diamond slopes; and the double black (Lower Shays Revenge is still open. Is if that isn’t enough, 2 of 5 terrain parks are open. Wisp Resort is open for Saturday and Sunday til 5pm on a base of 20″ and 14 of 34 trails, snow tubing and their sweet mountain coaster! I’ve really thought for a while that we’d start seeing these pop up at every ski resort in the Southeast and mid-Atlantic. Wisp Resort was the first to do it a few years ago now and I’m telling you if you haven’t ridden one, they are a ton of fun. The Mountain Coaster at Wisp boasts a 1,300′ uphill track and then they release you down a twisting 3,500′ downhill over 350 vertical feet on the eastern side of the mountain. Ober Gatlinburg installed one a couple of years back. They have LONG had (and still do) an Alpine slide which is pretty intense where you control your own sled down a smooth, concrete track. They added the mountain coaster which is 2,750′ in length and it is really a great ride year round. The Smokies have several mountain coasters now with one in Pigeon Forge measureing a whopping 5,400′. 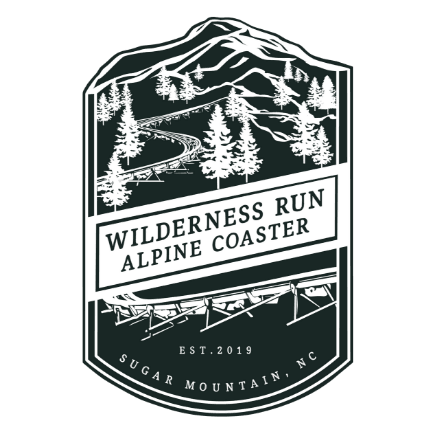 The reason I am bringing this up is that Banner Elk is getting one called “Wilderness Run Alpine Coaster”. Track parts are arriving and construction will be underway. No word on how long it will be, but the location is pretty great – right on Hwy 184, kind of across from Sugar Mountain (just before you get to the entrance of Sugar). Pretty cool. I’d expect to see more of these across the southeast and mid-Atlantic mountaintops. Seems like all I have to do is mention an opinion contrary to academia and a debate will ensue. Few things seems to generate debate as much as global warming, climate change or the lack of it. I will admit that I have enjoyed reading each and every comment and email submitted. Supporters on both sides of the debate shared links to “prove their point”, often quoting “science for the win”. I started to post some comments. However, the truth is I am personally NEVER riled up about the subject. I’ve just always found it funny that some people can get so agitated and offended about the issue. It is always a surprise to me when people quote “science” as proving their point, when by its very definition, science is ever-changing. What scientists believed to be fact 100 years ago is often debunked by modern science. I think the same will be true of 100 years from now. When you add in that many scientists of today are only scientists because they are state and federally funded with grants, you have to suspect their authenticity. Just because someone says something is FACT today, doesn’t make it so…especially in today’s world where anyone can post anything and get it read. While it’s been interesting dabbling in the debate the last couple of days, I’ll leave this for you guys to debate. It is FUN though, especially when you guys and gals (our readers) are so darn nice about expressing your beliefs and opinions. We absolutely ROCKED IT this season with the most traffic ever coming to our network of SkiSoutheast.com, ResortCams.com, HighCountryWeather.com and HighCountryVacations.com…and by far. Thanks to all of you! Our network of pro-mountain websites saw 1.6 million more views than last season! We saw over 8 million views, with tons more over on Facebook and our webcams streamed to 26,850,365 viewers from November 1st through Friday! Thank you guys and gals again…so much. I have had some great conversations with more of you this past season than ever. 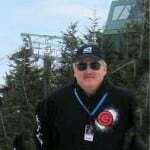 I’ve connected with more of you guys who have shared some awesome photos and comments and I am looking forward to adding a couple of people to the SkiSoutheast Team prior to the 2019-2020 season! I don’t want to announce things prematurely, but I’ve had some conversations over the last couple of weeks with some peeps who I think you guys will love to hear from during seasons to come. We were also blessed to add Rudy Ryback to our team and look forward to his input again next season.